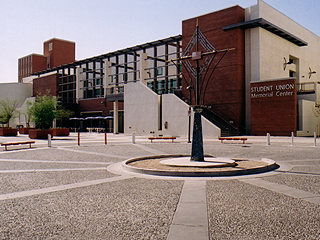 The CatCard is the official University of Arizona identification card. All students, faculty, and staff affiliated with the university need to carry the CatCard for identification. The CatCard features a digitized photo, digitized signature, Contactless SmartChip, and magnetic stripe. The CatCard also allows a wide range of on-campus services such as Meal Plans, photocopying, printing, and parking. In addition, the CatCard verifies electronic status on campus. How is the CatCard used on campus? What are the components of the CatCard? The ISO number is a unique, computer generated, 16-digit number used with some campus systems of the CatCard. This number will appear on the face of the CatCard. If the CatCard is lost or stolen, a new ISO number will be generated when the card is replaced, and the old ISO number will be permanently canceled. All previous access and services will automatically update on your new card. How can I put money on my Meal Plan or CatCash? Money can be loaded to these accounts online. Go the the Meal Plan website or CatCash website for instructions. Does the University of Arizona encode personal data on the CatCard? Your University ID# will not appear on the face of your CatCard, but will be encoded electronically on your card, unless you request otherwise. Your University ID#, if you elect to include it on the CatCard, is used for University of Arizona internal purposes, such as student and/or personnel services where access to your records is required. The number will not be provided to outside entities without the cardholder's prior consent. Your decision to use this number as an electronic form of identification is voluntary, and you may request that your University ID# not be encoded on your card. The CatCard Office will then replace your University ID# on the CatCard database, the magnetic stripe, and the SmartChip with an ID# consistent with current CatCard policies. Does the CatCard Office keep the digitized photos and signatures on file? Yes, the CatCard Office does keep the digitized photos and signatures stored in the CatCard database. This allows for instant card replacement. The photo and signature also give the CatCard Staff an additional means of identifying persons requesting replacement cards. Will the University of Arizona purge my digitized photo and signature from the database if I ask them to? Yes, the University of Arizona will purge the signature and/or the photo if requested, however, many cardholders have expressed support for digitization simply because it allows the University of Arizona to validate appropriate account usage more quickly. It also allows instant card replacement, and serves as an additional identifier; something other than the EmplID/SID or ISO number. The University of Arizona will not release either photographs or signatures in the database. If your photograph is removed from the CatCard database, you must be present in the CatCard Office with a valid PHOTO ID, and re-take your photo if it becomes necessary to replace your card. If your signature is removed from the CatCard database, and it becomes necessary to replace your CatCard, you must be present in the CatCard Office to recreate the digitized signature. If your signature is not imprinted on your CatCard, it cannot be used to validate your signature campus wide; another form of ID may be required. What should I do if my CatCard is lost or stolen? To report a lost or stolen CatCard with a Meal Plan or CatCash balance, call 621-7043 (option 1) immediately. You should also call the Library Reference Desk at 621-6442 to have your library account frozen. In the event that someone returns your CatCard, the CatCard Office will notify you through your university email account. You will need to come by the CatCard Office to retrieve your card. Please be prepared to give us your university ID# for verification purposes. The Meal Plan/CatCash Office and Residence Life offer temporary cards that will allow you to continue making meal plan purchases and provide access to your residence hall. Contact their respective offices for more information. Lost or stolen cards can be replaced for $25.00. The $25.00 fee will be waived if a COPY of the POLICE REPORT is produced within 90 days of issuance and it states that your CatCard or wallet was stolen. Changes to your CatCard (name change, number change, photo change, etc) can be made for a replacement fee of $25.00. Damaged CatCards can also be replaced for $25.00. Do I lose my Meal Plan or CatCash funds if my CatCard is lost or stolen? Meal Plan/CatCash balances will be frozen once you have reported your card lost or stolen (621-7043 [Option 1]). When you receive your replacement card, the Meal Plan/CatCash funds will be transferred to your new card. To minimize possible losses, it is vital to report the loss or theft of your card as soon as possible. For additional information or questions, please contact a CatCard Office representative.